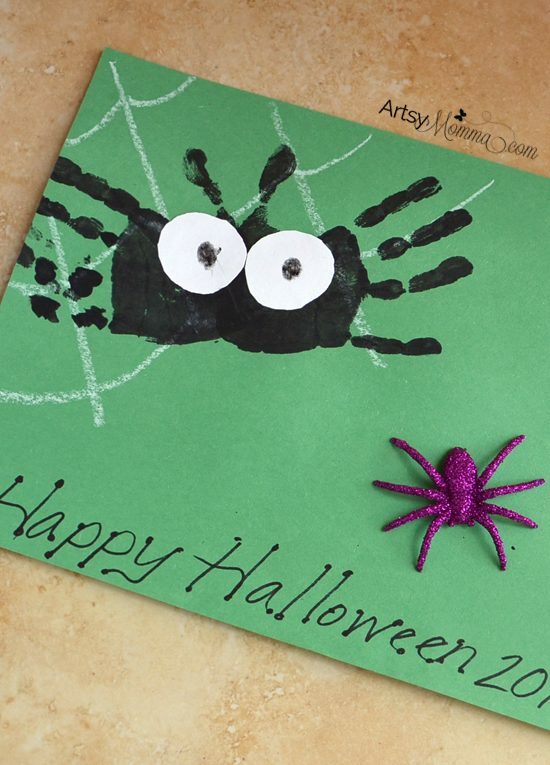 Besides the infamous footprint ghosts you see floating around the Internet or maybe even brought home by your child from school, handprint spiders are probably the next most popular handprint craft for Halloween! 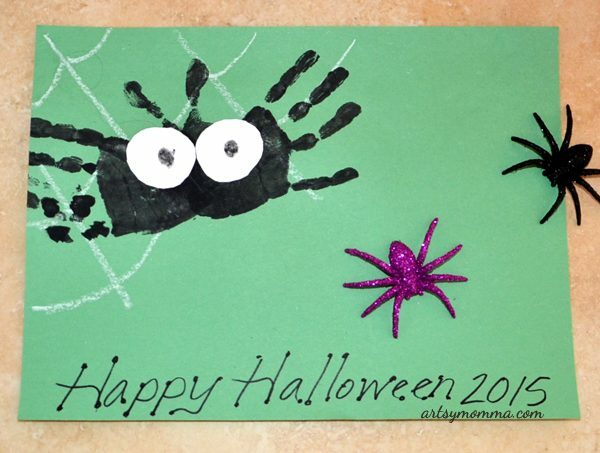 I adore all the cute crafts Little Sister brings home and love this cute, not-so-scary handprint spider art project they made earlier this month. It’s different from the ones we have made in the past since it shows the whole hand instead of without the thumbs. Both are cute! Draw a web in the corner of a sheet of construction paper. Paint both hands black. Tip: When doing both hands with the same color, we like to place a small amount of paint on the hands and then rub them together instead of using a paintbrush. Make a sideways handprint over the spider web. Make one the opposite way with the other hand so that the palms are either touching or overlapping. Add the eyes by cutting circles from white paper. Write ‘Happy Halloween’ or another cute Halloween saying. See more Preschool Spider Crafts here including one you can eat!